After its success last year, we were extremely excited to bring back our famous Week of Wellness and make it our best one yet! 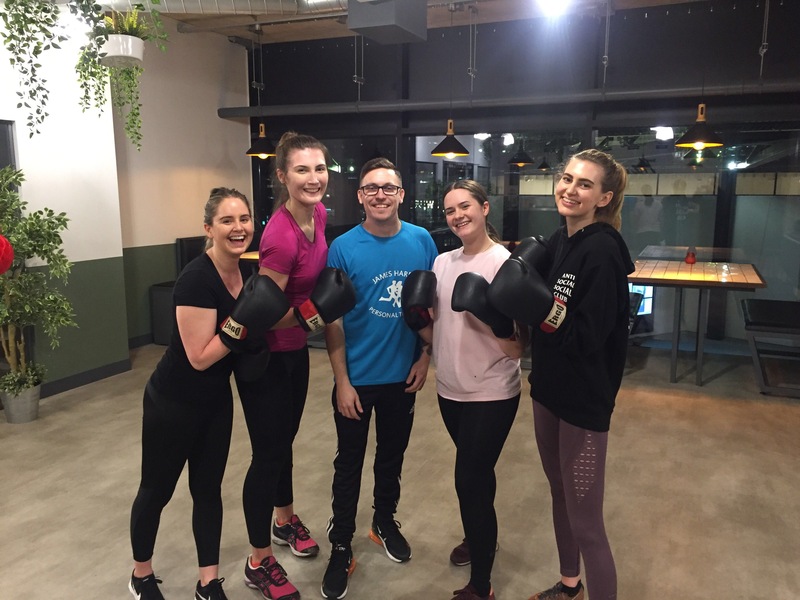 We saw it only fitting to commence this week of uplifting and motivational events from yoga to boxercise, on Blue Monday; the third Monday of January, awarded the gloomy title due to a combination of post-Christmas blues, cold dark nights and the arrival of unpaid bills. To kick start the week, our aim was to get others thinking about their mental wellbeing, and what could be done to improve it. A healthy members breakfast was available to all, with plenty of fresh fruit, granola and natural yogurt to get members energised for the day ahead! 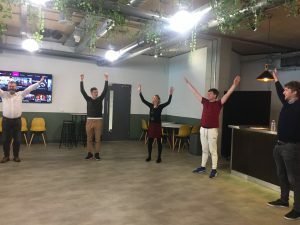 Leeds members took part in Yoga, practicing mindfulness and stress relief. Whilst participants in Liverpool engaged in laughter yoga exercises; allowing them to experience the powerful benefits of laughter. During this session they learned about the physical, emotional and spiritual benefits of laughter on the mind, body, and spirit from the established Jordan Fawcett. On Tuesday, our events were fitness focused with a cycle to work pop up, showing members that a small bit of exercise can release endorphins to have us feeling more positive, healthier and as motivated as ever. This was then followed by a boxercise class hosted by Gym Monkeys, that blew away the cobwebs and worked up a real sweat. We know that it’s difficult to keep active in the workplace. 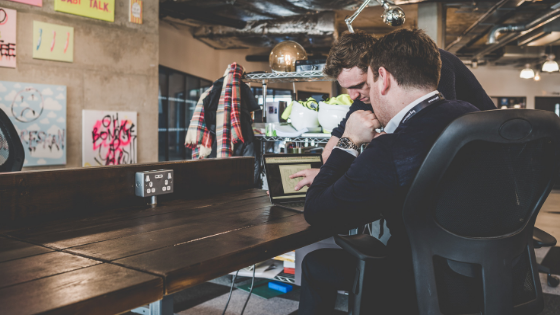 Often we spend much of the day sat at a desk, sat in meetings – generally living quite a sedentary lifestyle. But remembering to focus on fitness from time to time can have a real positive impact on every day life. As midweek arrived, our events took a turning point, looking at the small lifestyle changes we can make, which add up to make us feel much more positive about our wellbeing. A build your own buddha bowl members lunch, and smoothie station reinforced the benefits of healthy eating.  We then took into consideration, that often, the pressure of work and deadlines means wellbeing is at the back of our mind – but it shouldn’t be this way. 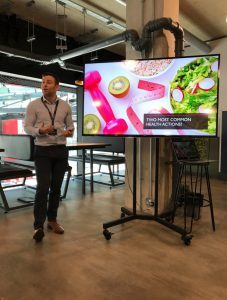 This was addressed with Leeds members taking part in a meditation class and during a healthy habit seminar in Liverpool, explaining that throughout the day we make choices, such as what we eat, whether we go for a break, and who we interact with. All of these choices, whether we realise it or not, have an effect on our wellbeing. 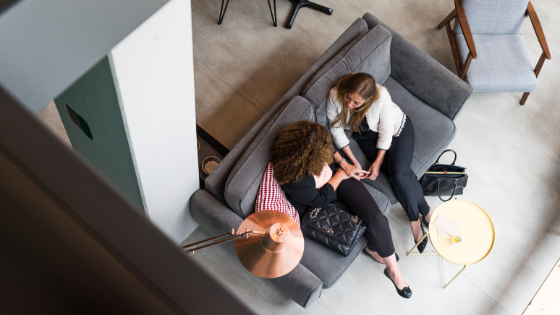 At Avenue HQ, we think of Thursday as a day to take stock of how the week has gone so far, and make a final push to make sure it’s a great one. Whether or not you’ve been mindful of your wellbeing, it’s a chance to make sure we don’t end the week with any anxieties or pressures. 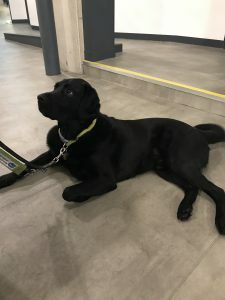 To combat stress, local guide dogs, both in Leeds and Liverpool made an appearance and offered pet therapy to all members. Giving them time away from their desk, petting adorable animals that are as relaxed and positive as we should feel! This left members with a smile on their face and their stress levels decreased. 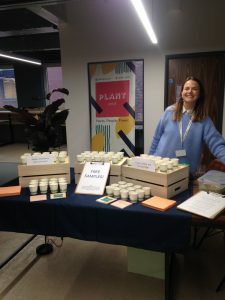 To conclude the week, and celebrate the fact that we’ve spent the time to focus on positive choices throughout, we invited local businesses from across the city to provide Avenue HQ members with a range of wellbeing market stalls. 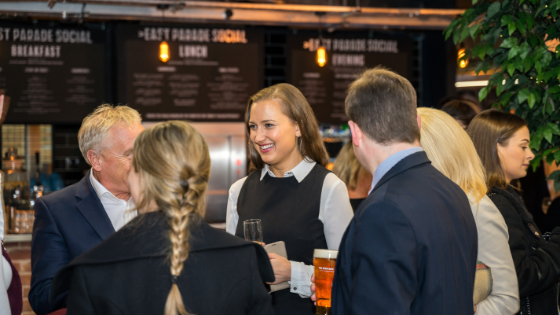 Including food vendors such as Dockside Dining, Haku Sushi, Guillermos Tapas, Plant Pod, Tribe Wellness Bowls and of course our very own CuppaCoffee and East Parade Social. We also had a little retail therapy, personal training and life coaching pop-ups to provide a varied range of wellbeing support. By thinking more about your mental wellbeing, physical fitness, workplace health and how any anxieties can be reduced, you’ve given yourself a formula to improving your wellbeing – not just for this week, but every week. We would like to say thank you for taking part on our Week of Wellness and we look forward to seeing you next time!